The production of digital content has slowly lead to the need to share this content, especially with the introduction of social media. This process of sharing involves different channels, starting from your own website to social media accounts and content sharing platforms. Collectively, this process is known as content distribution. Content distribution represents the delivery of content to the online users. It includes all types of content and all channels that are available for online content sharing. When you distribute content online, that content can be streamed, in which case it is available upon user’s request, or it can be downloaded, when a user stores the content permanently. Having published the content, it is natural to expect visitors and feedback, but rather than keep waiting for those to come on their own, content distribution helps with sharing content with the internet users. This way you speed up the reach and the attention the content gains, and you boost traffic. Distribution of content is done through so-called channels for content distribution. Basically, these are the media used to share the content and you have several of them you could use when distributing content. Email is the most important distribution channel you should use, because it delivers the highest ROI. Not only is the email campaign the best way to reach those genuinely interested in your business (which is why they have subscribed in the first place), but email marketing is a type of marketing that has consistently been the most profitable strategy. The success of distributing content this way is based on the quality of your mailing list, as well as on your skillfulness of communicating through emails. Firstly, a mailing list should include only the people who are really interested in receiving messages about your business. This ensures the highest open and click-through rates. It also means that the bounce rate and unsubscribe rate will be low. The second component of success is the way you communicate with your subscribers. You have to use a personalized approach, you have to optimize each email, to adjust the message to your target group and to constantly monitor statistics and feedback. All of this helps you with writing emails that perform better and running campaigns that give results. When it comes to using email as a distribution channel, make sure you use it for this purpose only when you have something really valuable to share with your subscribers. Even though it might seem tempting to use it to boost your traffic, email should be only for really great content, which is preferably tailored to the subscriber’s preferences. What this means is that even if you publish two or three articles a day on your blog, you do not want to send an email about each of them to your subscribers. Instead, you could send an email once or twice a week with the latest scoop. One the other hand, we have social networks, where the content distribution is done more frequently. This means that once you publish new content, you are most likely to share it on social media. In fact, you will probably end up sharing more than once. Social networks have become a very dominant part of people’s lives, which is why most of the online users are active on at least one social network. Actually, social media is one of the trends you need to have in mind when developing your business strategy. In terms of business, this means that you can take advantage of this trend and use social media to interact with the users. The list keeps changing with new social networks being introduced and gaining popularity, but the first four have been at the top of the list for a couple of years now. To start using social media as a channel for distribution, you will first need to create a profile or a page on the network. You should then optimize the profile with images, a description, links to your website or other social profiles, etc. This way you present your business and provide information on how to contact you, information about your product, services, current promotions, etc. You will then work on building the group of followers and establishing your influence on that particular network by implementing a social media marketing strategy. You will need to grab attention with the social media post. A lot of people tend to simply copy the article’s title and think they are all set. However, customized and personalized messages bring much more engagement. Users will already be able to see the title from the preview, there is no need to copy it in the status update as well. Instead, a post message should provide your impression, a witty comment, an eye-catching data or intriguing statement. This will all help with creating a post that users will want to click on. A call to action is a good strategy for encouraging social media followers to do a certain action, such as clicking the link, signing up, downloading something, sharing or following. To achieve these goals, you should end a post with an engaging CTA that invites the users to do the action you see as something beneficial for your business. It seems quite simple to create a single message and post it on four or five social networks, especially when you do this with a tool that enables social media management from a single interface. Even though this is a time-saver, it might not be a perfect way to get the most out of your content. Social networks are different in the way they distribute messages, present visuals or the way interaction is done, which is why you need to optimize the content for each of them. This means creating a custom message to accompany the post and using recommended image dimensions. Your goal with social media should be to gradually build influence and gain respect from the community, and a sure way to do so is by providing value. Your posts should be relevant to the users, helpful, problem-solving, etc. There is no universally recommended time for posting on social media. Even though some researches have stated some guidelines in terms of posting, engagement depends on many factors, which include the type of network, the region, and primarily, the target group. To discover the perfect time for your business, you should first think about your target group and when they are most likely to spend time on social media. For example, if your target group is stay-at-home moms, they will probably check social media late in the morning, while the kids are at school. The second thing you need to consider is the engagement on the previous posts. Check your profile and try to spot patterns when it comes to engagement. Is there a specific time or day when you gained more likes, comments or shares? Finally, when you know both the estimates and historic data, you can start experimenting to eventually find that perfect timing. If you distribute content to gain visibility and engagement from social media, you should never share several pieces of content at the same time. As much as social media is time-consuming, and you might be tempted to post your latest articles once or twice a week, this approach is not a way to benefit from social media. Instead, focus on one post at a time. If you still need to optimize the time spent working on social media activity, use scheduling options, so you can distribute a couple of posts evenly throughout a certain time period. Social bookmarking websites are online platforms that enable adding and sharing web pages as a form of a bookmark. Additional options usually include tagging and organizing bookmarks in categories. The ability to interact with other users is what gives that social character to bookmarking websites. People use these platforms to discover content that matches their interests, which is how this can help with distributing content. Amplifying your content through social bookmarking websites has great potential, especially in terms of traffic gained through these platforms. Reddit – The content shared here is mostly time-sensitive and updated in real time. Reddit stories are voted by the community. Delicious – The service owned by Yahoo, has lots of users who store links in their personal or public collections with tags to categorize everything. Digg – This is a news aggregator for sharing content. Pearltrees – This content curation platform is organized like a mind map. StumbleUpon – With its large user base, StumbleUpon offers a great potential for gaining traffic. The platform enables bookmarking, searching and voting for the content you find valuable. ScoopIt – Content curation service where you create topics and share scoops related to these topics. These are some of the most popular social bookmarking websites, but as you browse online, you will find many more of those. You should not aim to be active on all of them, but instead, choose only those that could help you with content distribution. The websites mentioned above are some of the most popular, based on the number of users and links shared through these platforms. Most of them are either free or offer a free account with limited functionalities, in comparison to a paid account which includes some advanced content distribution features. Some of these websites include do-follow links, which have a positive influence on SEO as inbound links, while some use no-follow attribute. Either way, the true value is in the traffic potential they provide, which goes beyond the attempt to gain backlinks. Your goal as a business should be to leverage this potential and use social bookmarking websites to distribute content to the communities that rely on discovery of new content. Online communities and forums are also helpful with content distribution. However, with these communities, you should not be focused on the direct promotion of your content, but instead, you should try to become a member, the one who helps with useful tips, the one who solves problems, the one who answers the question. This is what differentiates communities from social media and social bookmarking websites. The best way to take advantage of these websites is to join a certain community, start interacting with other members, participate in the discussions, etc. Gradually, over time you will get an opportunity to promote your own content and to share it with other members. Communities are also a great place to get feedback and new ideas that can show you how to improve your business. Distributing content can get tough, especially if you are only starting out and your audience is currently rather limited. You are not able to reach enough people, and your content might be performing poorly. To counter this, there is an option to work with influencers. Influencers are renowned individuals in a particular sector, who enjoy trust and respect from a large community. Influencers already have a significant following, and they have the power to influence people by sharing their opinion, impressions, feedback, etc. Working with influencers is an amazing technique for reaching their audience and distributing content this way. Finally, content can be distributed through paid channels as well. The main advantage of this approach is that it is fast and easy to manage. Once the content is created, all that is left to do is to choose the method of advertising, set up the campaign, and monitor the results. This approach is particularly helpful for blogs and websites that are only beginning to build their presence online, and thus they are unable to use other methods for content distribution, such as an email campaign because they still do not have enough leads they would contact. Paid advertising can also be helpful for time-sensitive content when you need to boost its performance in a particular period, or otherwise, the content will become outdated and irrelevant. The main drawback of the approach is the costs involved. The costs depend on the campaign, and since most paid advertising programs offer auction-type of advertising, you do not have a way to exactly predict the costs of such campaign. What you can do to plan this action is to set up a budget and use it as a limit. When setting up the campaign, make sure you indicate your limit, regardless if that is a daily, weekly or even monthly limit. This will help you stay within the budget you have available for paid content distribution. Search engine marketing is a great method to reach new users and gain new leads. Google AdWords and Bing Ads are two most frequently used advertising programs as two largest search engines. You have the option to create a campaign through the campaign manager and optimize it by choosing the target audience, keywords, location targeting, etc. You could also schedule the campaign to appear on specific days or period of the day. When it comes to Google AdWords, the option to set up and manage a YouTube campaign is also a part of the program, because this video sharing social network is owned by Google. Social networks also offer opportunities for advertising with sponsored posts and stories that are shown to the social network users while they are browsing the content. The ads are usually set up through a specific ad manager available by the network. Like with search engine ads, ads on social networks also offer plenty of optimization and targeting features to fully customize the campaign and maximize its performance. Even though it is not an option as popular as the previous two, social bookmarking websites also provide advertising. Sometimes they offer this option as sponsored stories, but some social bookmarking websites also offer paid accounts with advanced features to promote and distribute content. Besides using content distribution channels that are available to you, there are a couple of more strategies you need to have in mind when it comes to ways you can distribute content. Content syndication is the process of publishing content to third-party websites and then republishing the same content on your own blog or website. This includes publication of any digital type of content, a blog article, a video, a presentation, etc. Audience – The audience visiting the website where the content is going to be published should be relevant to you. Therefore, the audience should be one of the main factors influencing your decision to publish content on another website. Authority – The authority of the website is also important. In terms of SEO, publishing an article on a high-authority website with a link to your own website or blog is very helpful. Links are seen as votes of trust, which is why a link is a good signal to the search engine crawlers, who perceive links as a relevant metric for ranking the websites. This reputation extends to the online users as well, because generally, you will earn trust and increase the following through a successful collaboration. Since the process of content syndication includes publishing identical content on two different websites, it is only natural to bring the question of duplicate content. Duplicate content is the content on different domains that completely matches or is somewhat similar. This results in the same content appearing in the search results multiple times, a practice which disrupts the user experience, which is why it is unpopular among search engines and can lead to a URL being excluded from the search query. This tag links back to original content. In case you publish the content on your website or blog first, and then republish it on an authority website, make sure the publisher on that website is using this tag to reference back to you. Using this tag is an indication to Google which content is original, and which should appear first in the search results. NoIndex tag is used to indicate to Google that you do not want a particular page to be indexed. When you syndicate content, the authority website could use this tag. This way, their page will not be indexed and will not appear in the search results, but the authority website will still pass on so-called link juice to your own website or blog. This third option is not the best but may help with solving the problem. It works like this. The publisher should provide an attribution link inside the article linking directly to the original article page. Search engines are often able to figure out which version is older, i.e. which version is the original. If none of these attribution options are available to you, sometimes you might want to participate in the link syndication process just because the visibility benefits are so huge, that you do not really care about search engines seeing this as duplicate content. This is particularly the case when you have the opportunity to work with very influential websites that can help you reach a large group of online users. To a certain extent, guest blogging is similar to content syndication. In both cases, you collaborate with external websites where you want your content to be published. However, the main difference is that with content syndication you republish content on your own website or blog, and in the case of guest blogging you do not. Guest blogging is a process of creating content to be published on another website or blog. This method is used by many bloggers and website owners, mainly to increase traffic. The process can also work in a reverse way. You could have another author write a blog post for your blog or website. In both cases, mutual promotion and visibility are the main reasons why websites decide to use this form of content distribution. The first thing you need to do is to find an opportunity for publishing your guest post. There are multiple ways you can find these opportunities. Start with Google search. Make sure you type in the keyword (a topic you are interested in) and phrases like “submit a guest post”, “guest post guidelines”, etc. This will show you the websites featuring these terms. You could also use social media to look for influencers in your niche or you could check your competitor’s backlink profile, to see who links to them. You should also check out the guidelines for guest blogging if they are available because this will help you with shaping the pitch and creating the blog post that will get accepted. Once you get confirmation that the collaboration is on, you are ready to start with creating content for a blog post. In this case, you might want to consult the blog owner about any guidelines or specific requirements that are needed. In general, when creating a guest blog post, you are not supposed to use affiliate links or to openly advertise something. Another most common requirement is to format the post the same way the other posts are formatted on that blog. Now it is time to promote yourself. The purpose of the guest biography is to provide information about the guest blogger and this usually includes a short description of who you are and what you do. You should also provide links to the social media profiles where you maintain an active presence and your website/blog. This way, you provide information for readers to find you online if they like your content. Finally, when the article is all done and published as a guest post, you are ready to monitor the results. The best way to do so is using Google Analytics. Filter the results based on the sources and track the guest blogs URL to see how much traffic it brings to your own website and how this traffic performs, whether it brings conversions, high bounce rate, etc. This will help you analyze the performance of this strategy and if this is something you should use again in the future. Since the process of guest blogging works two ways, you could also have guest bloggers on your website. To begin with, you will need a page for those interested in submitting their pitch. Offer a contact form for people to get in touch with you easily and send their own suggestion about guest blogging collaboration. You might want to indicate the topics that are likely to be featured on your blog because you are most likely to be interested in a particular niche rather than sharing content on all sorts of topics. When you create content in one format, you always have an option to repurpose the content by converting it to another format. Basically, this means that if you have written an article about a certain topic, you could create an infographic, a presentation or a video using the same content. The main reason why this strategy is used in content distribution is the fact that it helps you with expanding the reach and gaining new link-building opportunities. In the same time, you will not have to invest too much work because you already have content to use as a base. Besides gaining benefits, this approach is also recommended when you want to reuse the content that you might have published years ago, but one that is still useful and current. Just because you have found an amazing article in your blog archive and you would like to use it to create an infographic, it does not mean that you should. Firstly, make sure the content you want to reuse is still current. The content needs to be evergreen to be reusable. It needs to deal with a topic that is still valuable and relevant months or even years after the content is published. This means that anything time-sensitive would not be considered as a good material for repurposing. To help you decide which content you should repurpose, take a look at popularity as a reference. This means that you should check back to your Google Analytics and see which posts or topics have been the most popular. You should also explore Google Trends, to see if those topics are generally popular in online searches. While most of your content might be evergreen, there still might be sections that are outdated or irrelevant, which is why you should start by reviewing the material completely. Think about this is a sort of a makeover and use it as an opportunity to make your high-performing content even better. Republishing content on blogging platforms such as Medium and LinkedIn Pulse is another way to distribute content. The audience you will reach through blogging platforms is different from your website visitors. They probably still do not know anything about you, and they might not have an idea what kind of products or services you provide. This means that you might want to adjust the content while having the audience in mind. The title is supposed to be enticing and engage your audience. The online users have to be intrigued to keep reading and you will achieve this with a catchy title. You could use a new title for the republished article to reduce the risk of duplicate content. If lead magnets and CTAs were not a part of the content originally, make sure you optimize the content with these in mind to encourage online users to click on the links. Since the main goal of this strategy is to reach the new audience, by encouraging clicks and gaining new leads, you should optimize the article in such a way to achieve these goals. One way to attract traffic to your own website or blog is to publish only a part of the article with the link to the original article on your website or blog, where the users can read the rest. Of course, the snippet you provide should be interesting to encourage clicks. Regardless if you decide to publish only a part of the article or the entire article, make sure you link to your website or blog. Also, if you have a certain offer available on your website or blog, such as a free download, make sure you include this if it is relevant to the topic.Apart from getting visits, links on these platforms are good for SEO because these websites generally have good domain and page authority. Take advantage of a powerful CTA by asking users to follow more stories you share. Invite them to your blog or website, or to follow you on social media. This way you offer an opportunity for them to connect and become your followers. Syndication, in general, has a risk of content being marked as duplicate. Beside the penalty, there is always a risk of losing traffic. Medium, LinkedIn Pulse, and similar websites probably have higher authority than your own website, which means that your blog or website might be pushed down the list of the search result, even though it is the source of the original content. However, the potential for reaching more people and gaining traffic is such an incredible opportunity for many websites to boost their traffic, in which case these risks are worth taking. Even though a risk is always a part of content syndication, there are a couple of ways to reduce the risk. Make adjustments to the content or republish only a part of the article. When you decide to publish a piece of content, make sure it is really something extraordinary, something that has the potential of going viral and attracting many visitors to your own blog. Once you publish the content on your own blog, wait for two or three weeks for search engines to index it, before you republish. This tag links to the original content which enables search engines to index the original versions first, giving it the priority it deserves in the search results. When it comes to Medium, rather than posting a new article, use “Import” option to share the story directly providing the link from your blog. 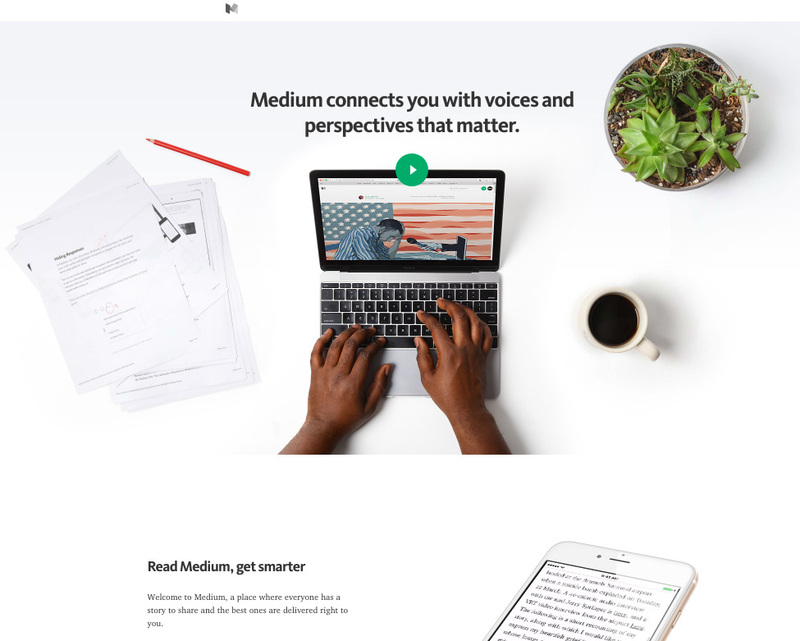 You will be able to edit it before publishing on Medium. Search engines have developed tremendously, and as stated by Google’s experts, they are now able to assess which version is the original and give it the priority in the search results. Advanced algorithms are used for this purpose giving them the power to show the version they find most appropriate for the users. Sometimes this may be the syndicated version, but sometimes they will give preference to the original version. Content on its own has little chance of going viral and being seen by lots of people. The blog readership is usually limited, especially if you are still beginning to build your online reputation. To make the most out of the content you create and publish, make sure you explore the ways of content distribution and find the formula that works best for your business.